So, I recently got a new See by Chloe bag (pictured above) and I completely love it! It is exactly what I have been searching for, but it got me thinking about my most used and loved bag. Rebecca Minkoff bags have always been on the top of my wish list for years and there’s a few reasons why. First, Rebecca Minkoff bags are priced so well! I honestly think they are at a great price point for anyone to either purchase right away or to save up for a couple of months and purchase a gorgeous bag. Second, the quality of Rebecca Minkoff bags are insane! 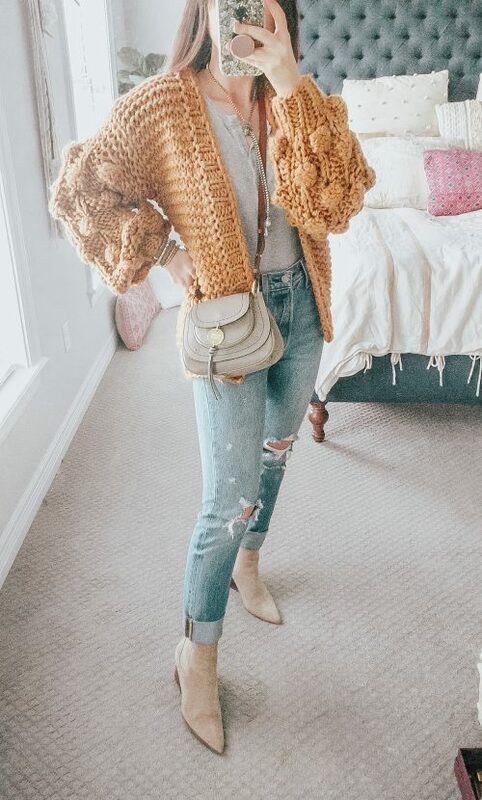 I remember purchasing my first Rebecca Minkoff bag and was blown away by the leather quality, the zippers were so smooth when opening and closing the bag, and I loved that extra tassel pulls were included with the bag purchase just in case I lost one. All of her bags also include a dust bag, which I highly recommend storing any unused bags in while they are hanging out in your closet. The Last reason I love Rebecca Minkoff bags is the variety of styles she creates year after year. From very classic quilted bags to boho tassel backpacks. There is literally a style for everyone! The one Rebecca Minkoff bag that I continue to go back to and wear year after year is my Rebecca Minkoff Julian backpack. 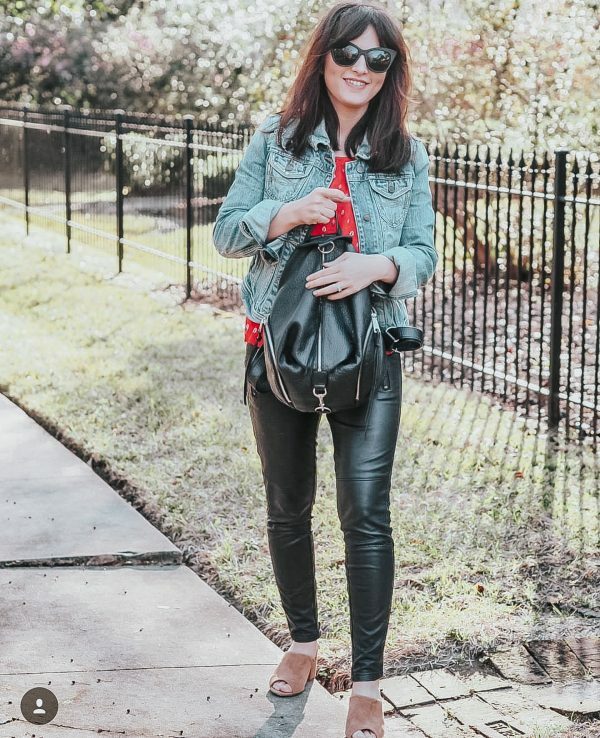 It has so many pockets, so its great for doubling as a diaper bag, but the leather is so subtle and gorgeous I could carry it to an office meeting….if I ever had an office meeting! HA! My sister recently asked me for black leather backpack/purse recommendations and I originally showed her a Zac Zac Posen bag because she works a corporate job. It wasn’t what she had in mind, so I showed her the black Julian backpack with gold zips. She is now obsessed! Do you have a favorite Rebecca Minkoff bag I should have a look at and possibly purchase? Let me know in the comments! For your viewing pleasure here are some throwback photos of me wearing my favorite bag. eeek kind of cringy to look at but we all have to start somewhere! I’ve been so into bags recently! I am asking for a new one for Christmas!